Sometimes, it's heartbreaking to see what gets discarded. I was fortunate enough to be invited to a party where the main event was a whole lechon , a festive sign that I think should replace the iconic roast turkey. Unfortunately, the animal is carved from the back, meaning that much of the delicious belly meat is wasted (or is it being reserved for the kitchen staff?). 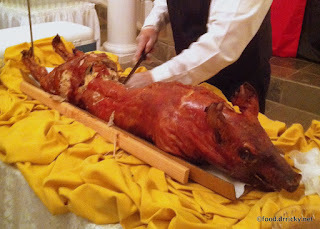 But even worse, I see guests cutting off the crispy skin and fat, and discarding them. The horror. Then again, most folks will juice a calamondin, and discard the rest of the fruit. I've found the rind and skin to be quite delicious, and have made marmalade with them. 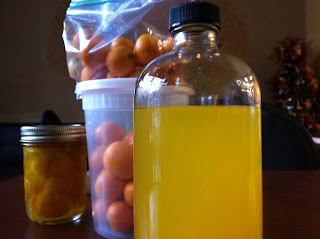 But I am also trying the salt preservation with calamondin akin to what is done with lemons. I'll report back with the results once they are ready. Ghastly! Te skin is the best part!